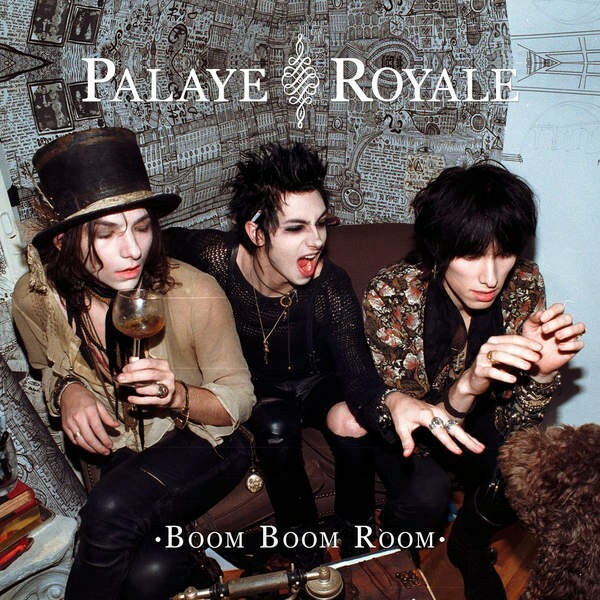 Palaye Royale cast themselves as a Fashion-Art Rock band. Personally, I can hear touches of The Biters with the style of The Struts, but whatever genre it is, there's wildness, moodiness and colour splashed all over the album. The opening tracks have lashings of personality and energy. 'Don't Feel Quite Right' has a raw, punky urgency, while 'My Youth Generation' has hints of The Who; whispering vocals wait to be unleashed and then vocalist Remington Leith rasps and scrambles all over the predictable but catchy melodies. The band plays with tension, rhythm and anticipation. They don't go hard and heavy all the time but tease with licks and slivers of artsy guitar fills and peals of juicy organ. 'Mr. Doctor Man' is one of the standout tracks. It's pacier with a lovely build into the chorus and there are touches of Indie here as well yet it's edgier. Imagine Rock 'n' Roll but encased in brocade and ripped velvet; Think David Bowie with dirtier glamour or The Struts with a little less commerciality and innocence. A few of the mellower tracks merge into one another, such as 'Sick Boy Soldier', 'Live Like We Want To' and 'Ma Cherie'. They have all the hallmarks of Palaye Royale's style yet pack less of an artistic punch. 'Where Is The Boom?' is in Oasis territory mood-wise, it then picks up into a catchy, strum-along Indie track. 'Clockwork' is meandering, musically rich and warm, the kind of track you drift away to. 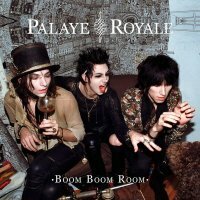 The end of the album roughens up a bit, a style that Palaye Royale seem more suited to. 'Warhol' has a crunching bass that makes a great foundation to the track. Leith leads the way, but never overpowers the music; it's all quite My Chemical Romance, if a bit repetitive. 'Rag Doll' is very quirky with a rhythm that builds and falls, teases and withdraws. It's a wonder Leith doesn't have laryngitis by the time we get to 'All My Friends' – fans of Josh Todd, anyone? – and meanwhile the music continues to invigorate, stirring rhythms into a frenzy before the guitar whirls out on its own solo towards the end. Bonus track 'Get Higher' has a cleaner sound with a fun, upbeat and easy-going Rock 'n' Roll style. If you like something raw and Alternative, this should be right up your musical street. It's all quite crazy and really rather fun.